"There's more to sustainability than Patagonia clothing"
Ten Rivers Trip is a father and a son exploring the Norwegian wilderness and rivers with a fly rod, with an ambition to fish more sustainably. With great care for the fish we catch and the ecosystem they are dependent upon. Ten Rivers Trip is a dogma and a set of fly fishing imperatives that must be obeyed every season. The project is about two things. One: Staying loyal to the explorative idea of fly fishing by constantly searching new and unfamiliar territory. Two: There is more to sustainability than Patagonia clothing. Sustainability is animal welfare and care for our environment. A new season of Ten Rivers Trip is available on You Tube from 15. March 2019. Two episodes will cover spring fly fishing in Trysil (Norway) and the high-summer episode (ep02) will cover spectacular scenes from Folldal and the Trøndelag region in Norway. As always there are trout and grayling catches, but our rule of thumb is to homage the love for the outdoors. First episode is available from 15. March. The season finale, the second episode, will be available at the end of April 2019. Enjoy, and please comment and share the film to fellow outdoor fanatics and fly fishers. For the love of the outdoors and everything wild! 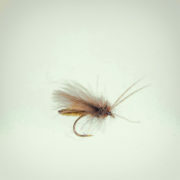 As writers and communicators it’s only natural to share our experiences with the world community of fly fishers. Having written and photographed for three decades, extending our storytelling to YouTube and film is an obvious next step. In 2017 we purchaced a Canon C100 videocamera and started creating nature documentaries. Fortunately for the production quality, but not so for our checking balance, we rapidly grew out of the camera bag. New equipment was purchased and it looks like we are destined to continue the story about the Ten Rivers Trip project. Keep updated – subscribe to the YouTube channel. Making nature documentaries yields plenty extra materials, such as great shots and stories about the little things that can not be used in the main production. Take your time and watch the short films about the Blue Winged Olive (Ephemerella Ignita) or the Large Dark Olive (Baetis Rhodani).